We put out a lot of information and fun events, so it can be hard to keep up with what’s going on. We’ve gathered some of our most popular articles and events to make sure you don’t miss out! February is Black History Month! There are events and activities around Columbus in honor of Black Americans in U.S. History. February 1-7: There are still plenty of FREE tickets to see Black Panther in theatres! February 2 is National Eat Ice Cream for Breakfast Day! Check out these fun events, or celebrate at home with our ideas and recipes. Hamilton is here in Columbus at Ohio Theatre through February 17. You can enter the Hamilton lottery to win the chance to purchase two $10 tickets for each performance of this sold out show! Disney’s Enchanted Tales are playing at Marcus Theatres for just $5 through mid-February. February is a big month for awards shows, finishing up with the Oscars! We’ve gathered some fun award show events, theatre deals, and watch parties for the award show lovers out there! Valentine’s Day is February 14th! We have a list of Valentine’s Events in Columbus, as well as a list of Valentine’s Day Restaurant and Fast Food deals. Several options are good through the first half of the month, so check both lists out now! No one says you have to be in a couple to enjoy a heart-shaped pizza or go out with a friend on the 14th. Maple Syrup Tours and Events: February 16-March 9 Sign up for a fun Maple Syrup tour or Breakfast! President’s Day is February 18! It’s a long weekend for many, so plan ahead for some 3-day fun! Check out the other fun activities on February 18 for your extra day of the weekend for President’s Day. Get Half Price Admission at the Columbus Zoo and Aquarium through February! Shopping at Vintage and Barn Sales can be so much fun! You never know what you’ll find. There are several coming up in February, and plenty more throughout the year! Students have through February to complete the Winter Reading Challenge through Columbus Metropolitan Library to earn prizes! Sometimes the weather is just too bad to brave, but you just need to get your kids out of the house. These free or cheap indoor play places are perfect for letting them burn off some energy. Ice skating is a great wintertime activity, and there are plenty of indoor and outdoor places to ice skate in Columbus. Outdoor places are only open when the temperature is cold enough, so be sure to check the links to see if they are open, but the temperature is always right for indoor ice skating! Bundle up and hit the sledding hills when we have snow! There are tons of places to sled all around the city! Snow Day boredom? Snow problem. There have been plenty of days off school for snowy and cold conditions, so beat the cabin fever with these Snow Day ideas. Note, always check websites for weather closures and be sure to follow driving recommendations based on Snow Emergency Levels. The growing season may be months away, but you can find plenty of tasty food and handmade goods at these Indoor Farmer’s Markets. February 7: Adult Night at LEGOLAND Discovery Center. LEGOLAND…no kids…so much fun! February 14: COSI After Dark. It’s COSI fun, Love-theme, just for grown-ups! Aren’t Happy Hours just the best? They’re cheap, they are a great way to meet up with friends, and they literally have the word happy in them. Here’s a list of Happy Hours all over Columbus. Get out of the house and go on a date! Skip the standard dinner and a movie and go on one of these fun dates in Columbus. Adventure Trails are a great way to spend a boring winter day! These tasty and fun Adventure trails will take you all around the city and state. There are a few family-friendly options too! Don’t let those resolutions fall to the wayside already! February is the time when most people give up on their health goals set in the new year. Getting healthy doesn’t require a gym membership! Check out these free and cheap winter fitness options in Columbus. Check out list of upcoming fun nights out, including beer/wine/cocktail tasting, date ideas, and more. Columbus has some great museums to explore! Check them out on these free and discounted museum days. Hungry? Check out these dining discounts to fill your belly for less! Dining out as a family doesn’t have to be expensive! Pick a place that offers free or cheap kids’ meals, and save some money! Have a birthday coming up? Check out this huge list of Birthday Freebies and Deals, and don’t forget to sign up for the newsletters (where required) ahead of time so you’ll receive the deals. Looking for fun this weekend? No more FOMO! 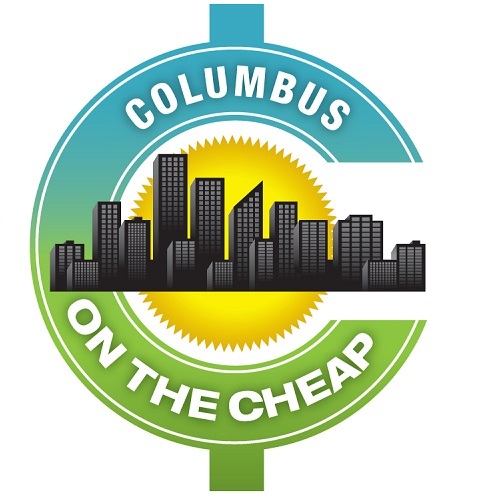 We gathered the best events in Columbus going on this weekend so you don’t miss out! Need something to do today? This is what’s happening today around Columbus. Here’s our full calendar if you want to plan a special day or look ahead to another month. We’ll update this list as the month continues, so be sure to check back!